"Japan's Emperor Akihito has strongly indicated he wants to step down, saying he fears his age will make it difficult to fulfil his duties. The revered 82-year-old emperor's comments came in only his second-ever televised address to the public. 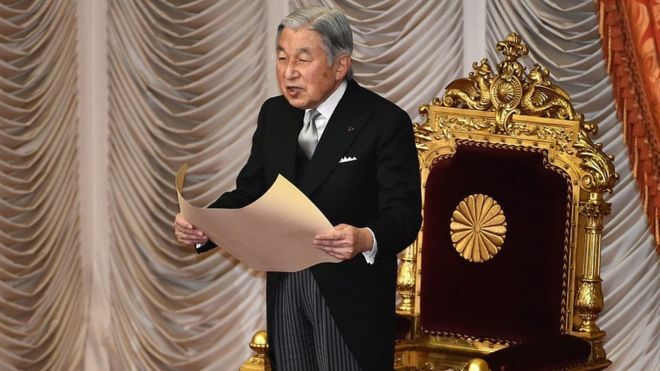 Emperor Akihito did not explicitly say he wanted to abdicate as it could be interpreted as political interference."